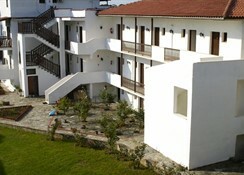 This is a 2-storey building with Cycladic island architecture and a family atmosphere. 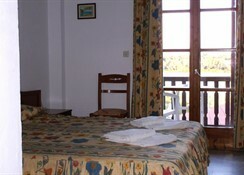 There are 58 guest rooms available. 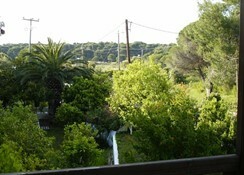 The premises are air-conditioned and the hotel has a lobby. Furthermore it consists of a café, bar, restaurant, reception, TV lounge and a car parking area. Internet access is also provided at the hotel.Standard rooms feature Neoclassical furniture, a double bed and a private en suite bathroom with a bath and shower. 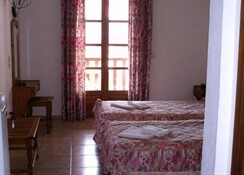 Each room has a satellite/cable TV and a direct dial phone. 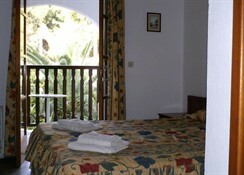 There is also a safe, mini fridge and individually regulated air conditioning (for an extra charge). 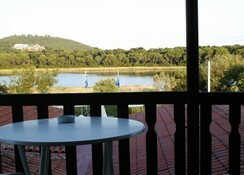 Rooms also have a veranda with a beautiful view. Guests can take a refreshing dip in the outdoor swimming pool. 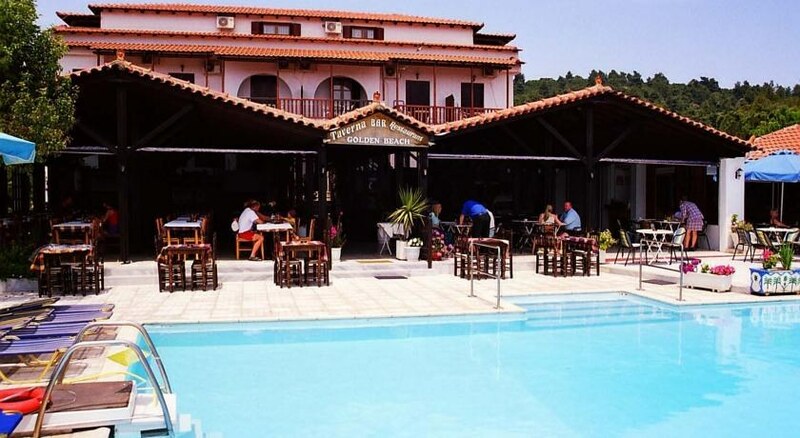 There is also a children's swimming area and refreshments are available from the poolside snack bar. Sun loungers and parasols are laid out for use at the hotel and may be hired on the sandy and pebbly beach.